Show off your Bow/anchor roller setup! These are fom the old boat. I made a mock up in wood and traded the fabrication for some floor sanding. 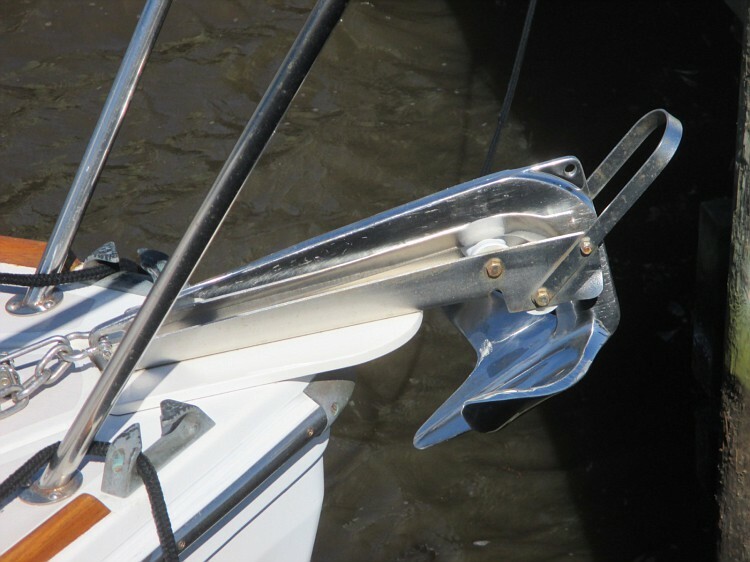 I wanted to keep my anchor ready at all times and be able to pick up a mooring at the same time. Material is 1/4" 316L. Note pipe strut for support. Fabricated by a local machinist not a marine shop. Hope it is some help. Our system on our Nordic Tug 42 with a Rocna 33 (73#). 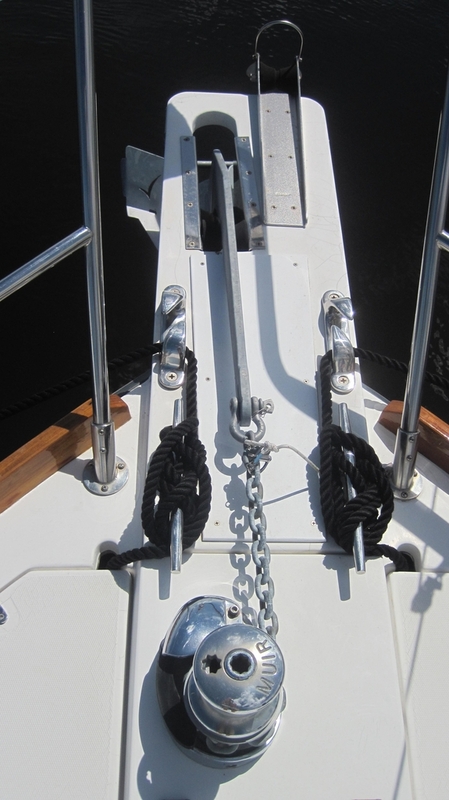 The Anchorlift roller system had to be extended out and supported to provide enough distance between the rollers and windlass. (It is a self launching system.) Works great. Had this one made from 1/4" stainless plate . Not polished but it does the job. On the boat but without anchor and chain. Thanks all. This should be a fun project and I will post pics when it's finished! @Conrad, how do you like the anchorlift product and where did you acquire it? If I visualize my boat without a mast, I see a trawler. 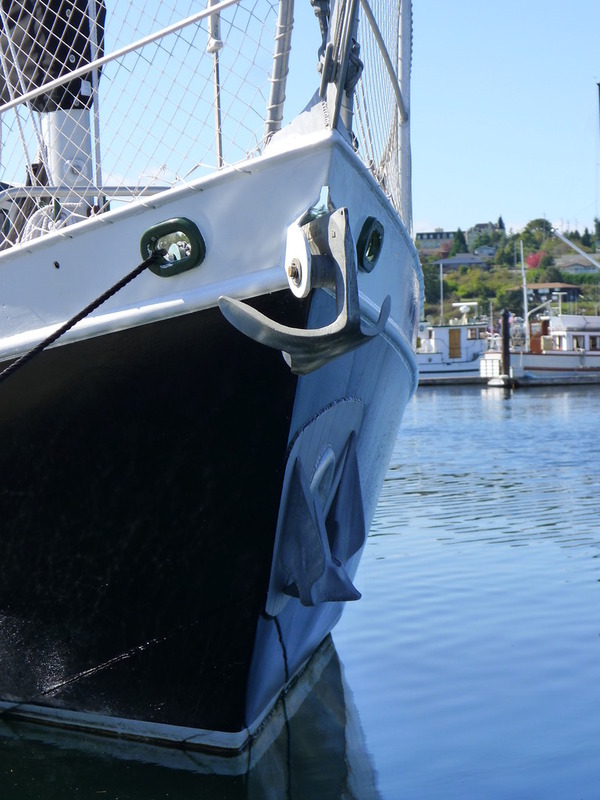 We purchased it through the local boatyard (Ocean Pacific here in Campbell River) as they did the fabrication and install of the support knee. We're very happy with it. Being that it self launches and retrieves the anchor, it makes the anchoring process very simple. 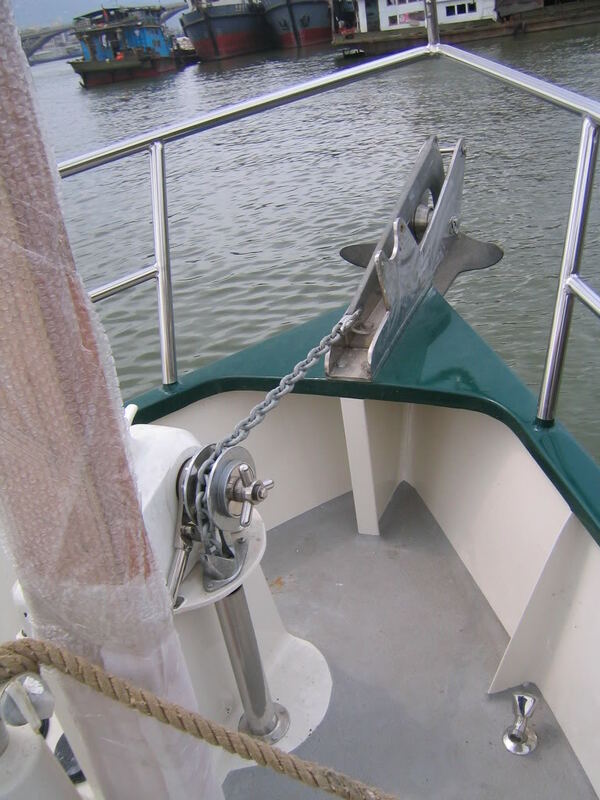 Of the various anchoring systems we've had on board different boats over the years, this is by far the best. 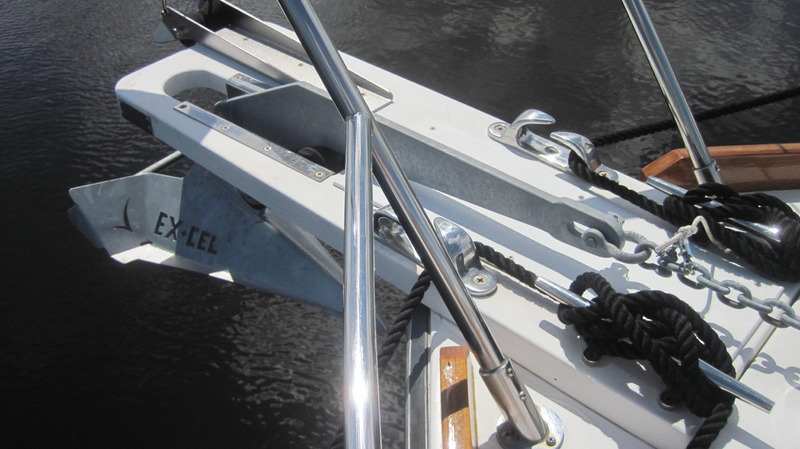 80lb Manson self launching on a sprit to keep anchor retrieval well clear of the stem, 14mm chain, chain stopper, Maxwell 4000 hydraulic windlass, and sampson post for snubber etc. SS bling courtesy of previous owner. Don't try to church it up son. Don't you mean " I didn't feel like doing all the extra work to make it shine"???? "Church it up son" ............Must be a Mississippi thing. Eric- it's actually a line from the movie Joe Dirt. But he was from Baton Rouge Louisiana. Go figure .